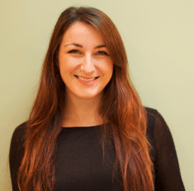 Niamh is a Monitoring, Evaluation and Learning Advisor at Caribou Digital. Her work focuses on establishing systems to measure and understand the impact of digital development on both clients and providers over a range of sectors, including health, agriculture and finance. Before joining Caribou Digital, Niamh was the Global Director for monitoring and evaluation at Grameen Foundation. She has over 11 years’ professional experience in research, measurement system development, and evaluation and spent eight years based in Thailand, Zambia, Sierra Leone and Uganda.